ESO will hold a press conference on 26 July 2018 at 14:00 CEST, at its Headquarters in Garching, Germany, to present unique observations of the centre of the Milky Way and their significance. 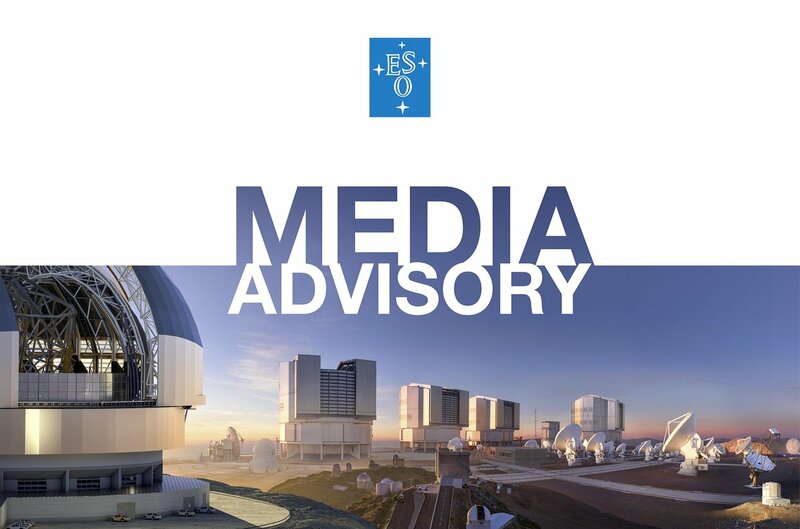 The event will be introduced by ESO’s Director General, Xavier Barcons, and will feature presentations by researchers behind this result. This invitation is addressed to media representatives. To participate in person in the conference, members of the media must register by completing an online form. Please indicate whether you wish to come in person to the press conference or if you will participate online only. On-site journalists will have a question and answer session with panelists during the conference. We will also take questions from registered journalists participating online. In-person individual interviews immediately after the conference are also possible. The conference will be streamed online, but only registered journalists will be able to submit questions. Details about how to submit questions or book interviews will be sent after registration. The conference will be streamed from here and the ESO frontpage from 14:00 CEST on 26 July.